We're offering up a whole stack of cool workshops & classes run by local makers! If you want to learn how to decorate cakes, woo your guests at your next dinner party, look after your gut, make some bath bomb or are curious about vegan cooking but don't know where to start? Join us! We partnered with Sydney Community College and everyone agrees its a match made in heaven. 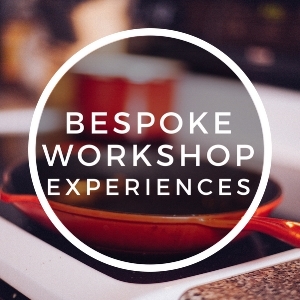 WE CONSTANTLY ADD MORE WORKSHOPS TO OUR TIMETABLE SO BE SURE TO SIGN UP TO OUR NEWSLETTER AT THE BOTTOM OF THE PAGE! TEACH ME HOW TO PANDA! Build your flavour-bomb toolkit - Vegan honey, smoky BBQ sauce & more! Aquafaba - An amazing egg white substitute! Not as daunting or as complicated as you may think. Definitely tastier than you would ever imagine! No-nasties and nutrient dense! You wanna get on the DIY cheese train! Vegan cake decorating, goth style! Maker’s famous cookie sandwich recipes could be all yours!! interested in teaching @ maker?